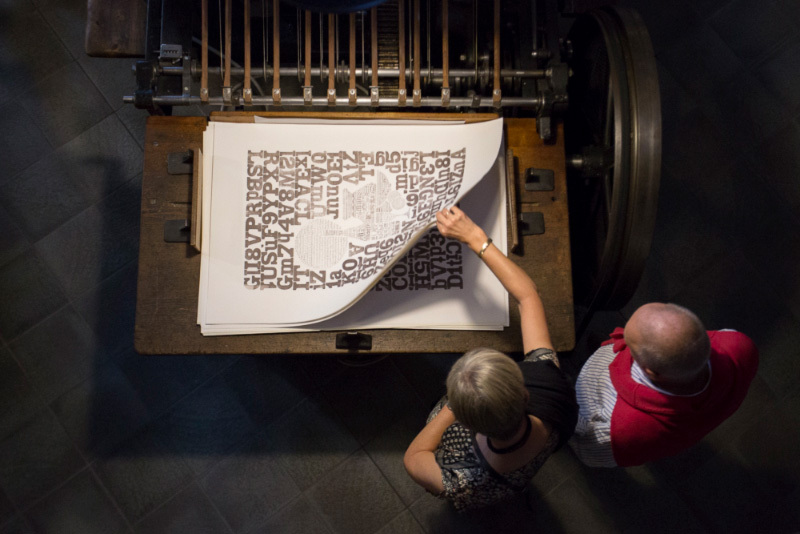 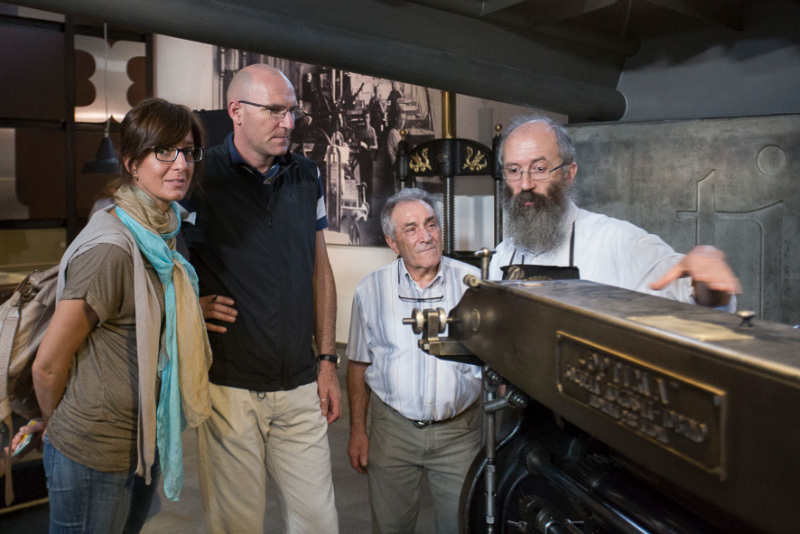 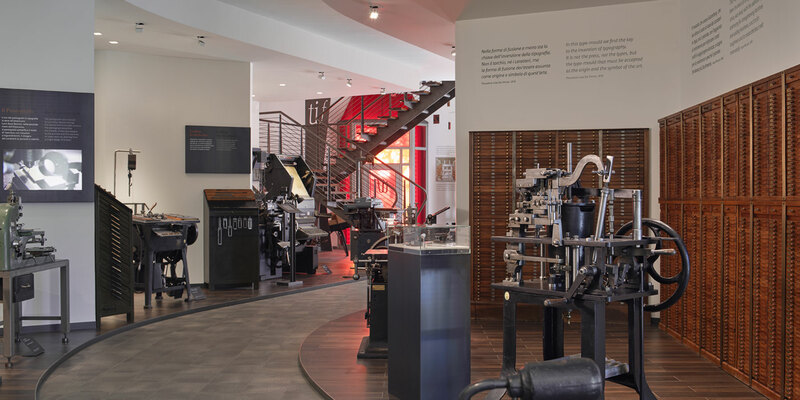 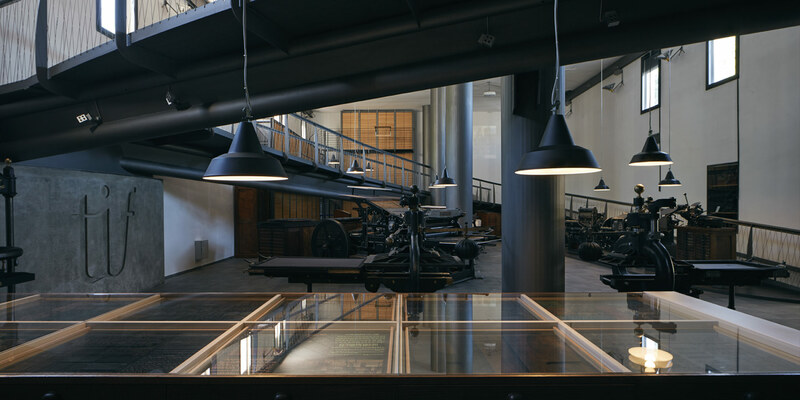 The museum tour allows visitors to discover typography tools and history through original material, which describes the typographer’s work (typesetting and printing), but also the crucial role of crafts related to the world of type: punch engraving, matrix preparation, typeface melting, typeface design and drawing. 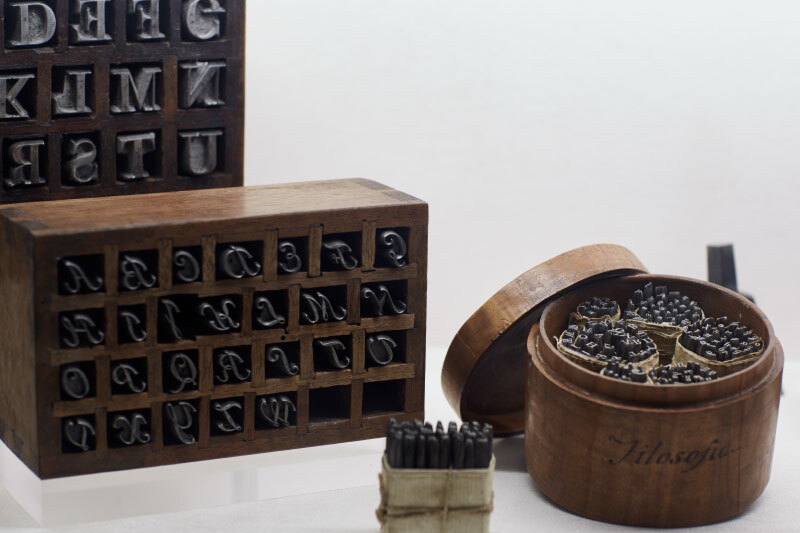 The visit reveals a real treasure: the typeface, matrix and punch collection. 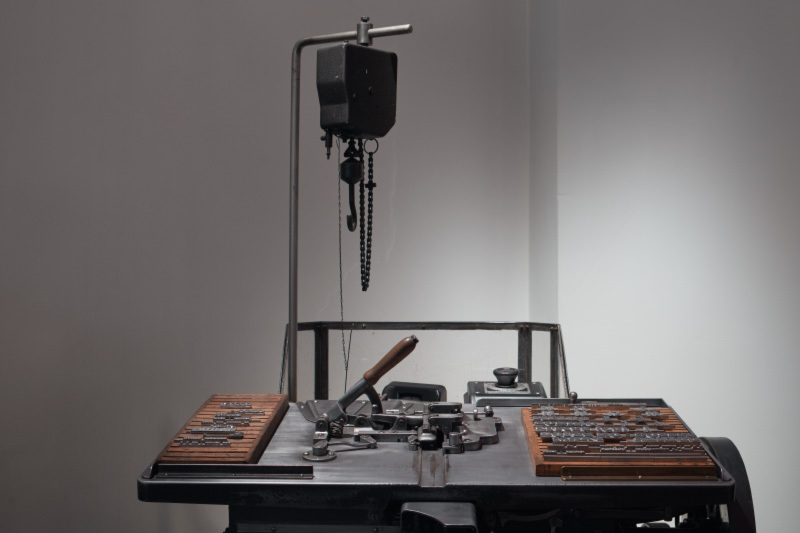 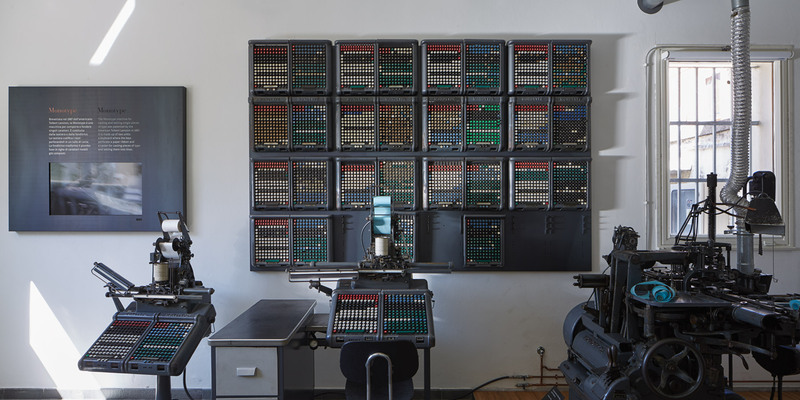 The machines on display are the result of the relationship between intelligence and mechanics: iron hand-presses, platen presses and casting machines show the peculiar nature of the typographer’s craft, between hand creativity and refined technique. 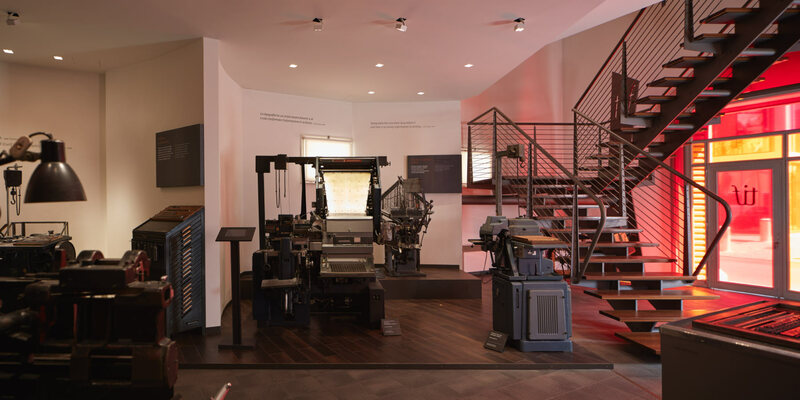 Give way to wonder, start a path to discovery: from the typefaces’ production and the original machines’ exhibition, to the arts Gallery dedicated to designers, printers and literati who had influenced the visual culture of entire generations. 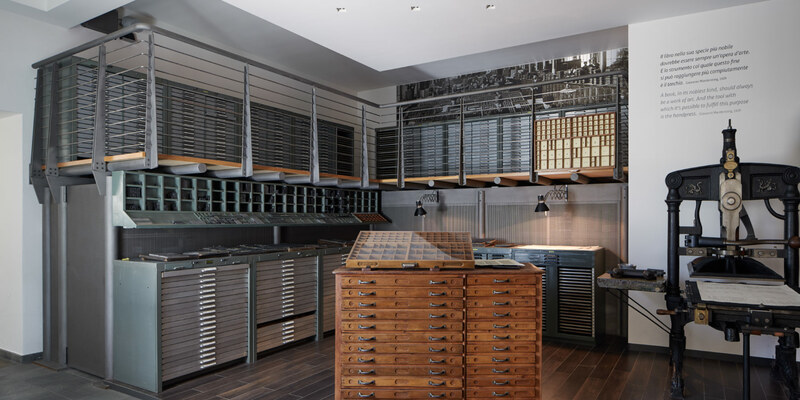 In the foundry sector on the ground floor, the chest with 1,083 drawers holds over 1,400 copper and alloy matrix series. 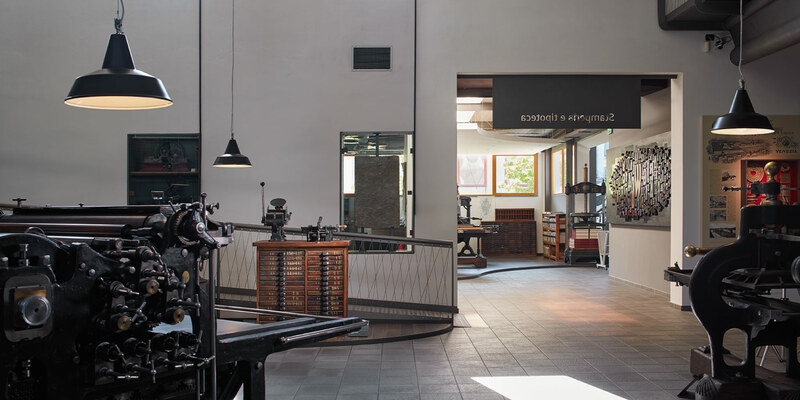 They come from two historical Italian foundries: the “Fonderia Tipografica Cooperativa” in Peschiera Borromeo (Milan) and the “Giovanni Azzaro Foundry” which had taken over the “Pierallini & Turchi Foundry” in Florence. 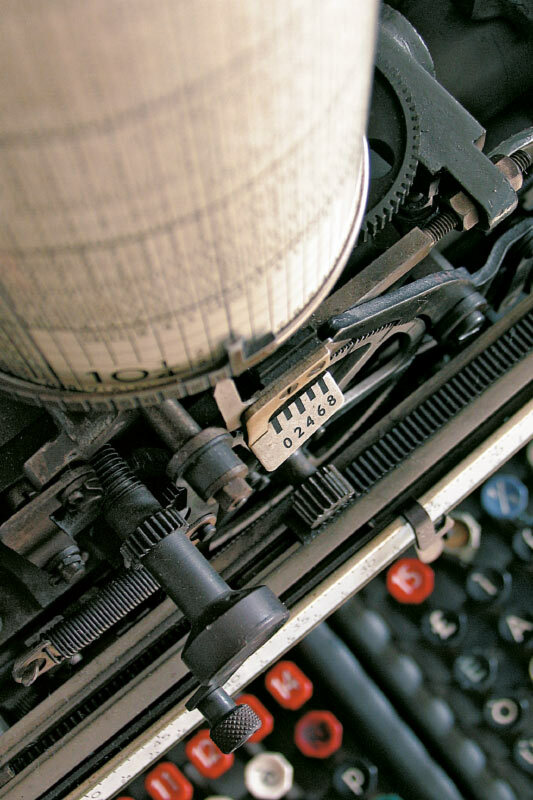 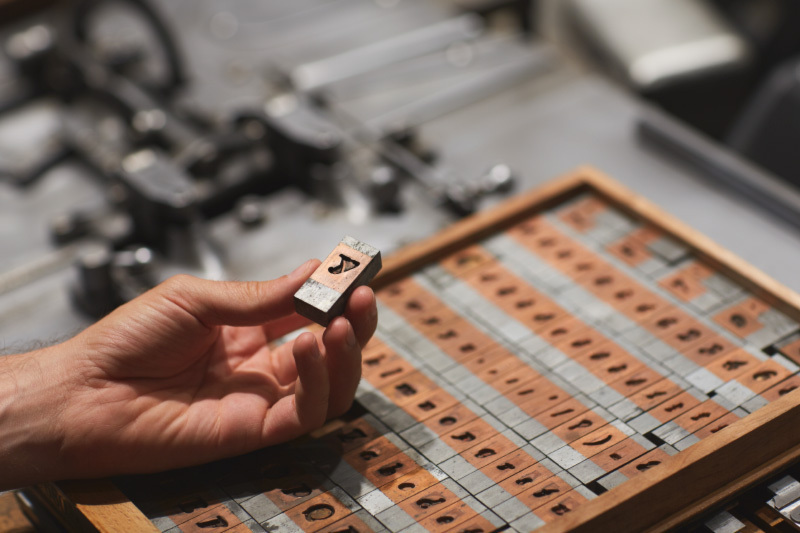 One of the most difficult arts in the world is the hand engraving of punches to create perfect typefaces. 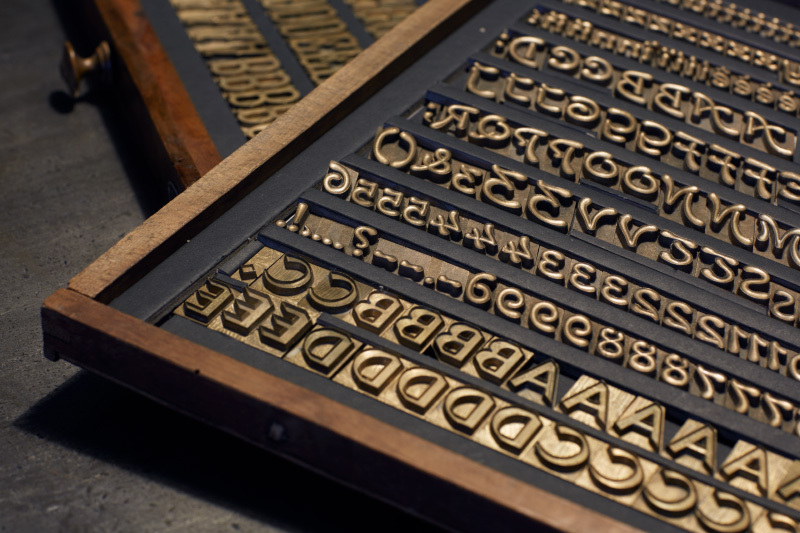 The first step in the typeface production process, was the creation of punches: a difficult task entrusted only to expert hands and reliable eyes. 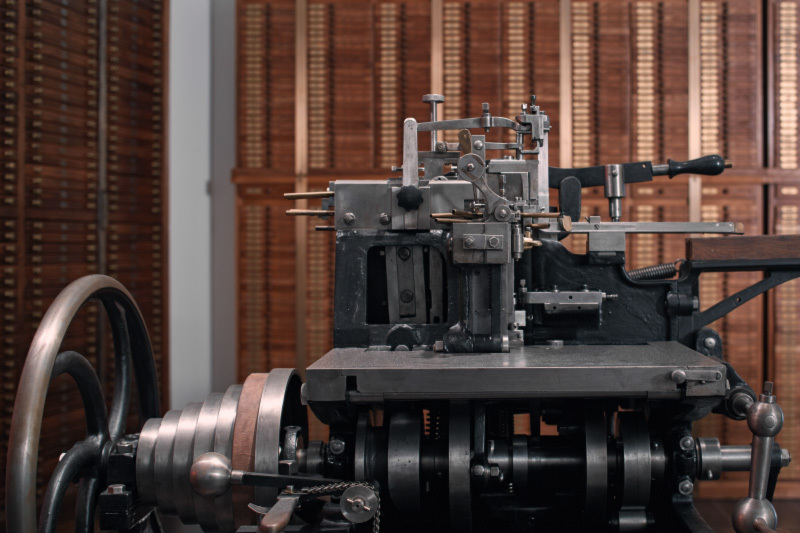 Punches coming from the Amoretti Brothers Foundry (late XVIII century) are precious and unique. 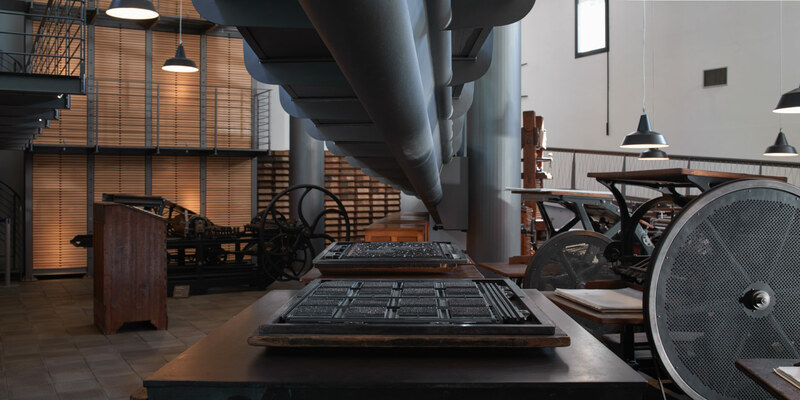 They are the result of the absolute talent of professional engravers and they prove the collaboration of the foundry with Giambattista Bodoni. 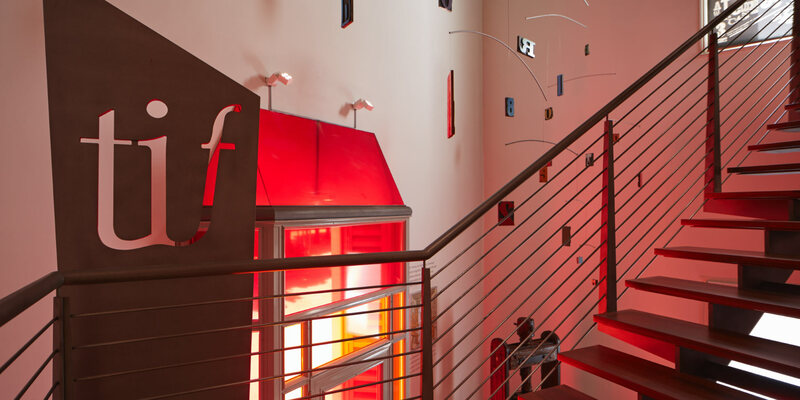 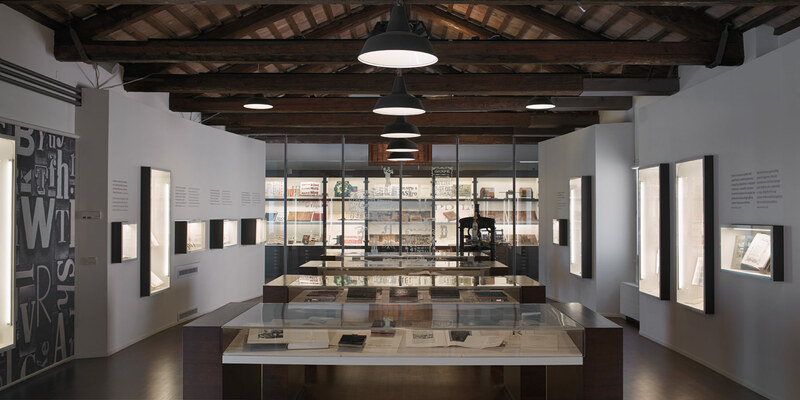 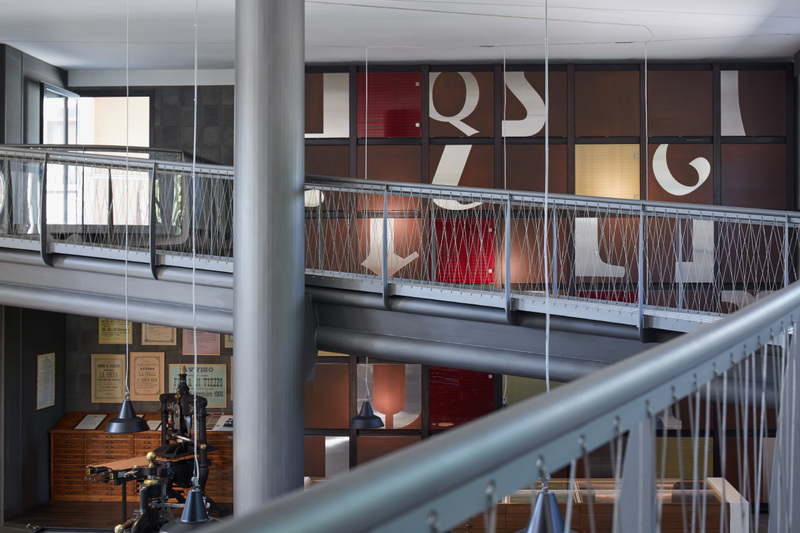 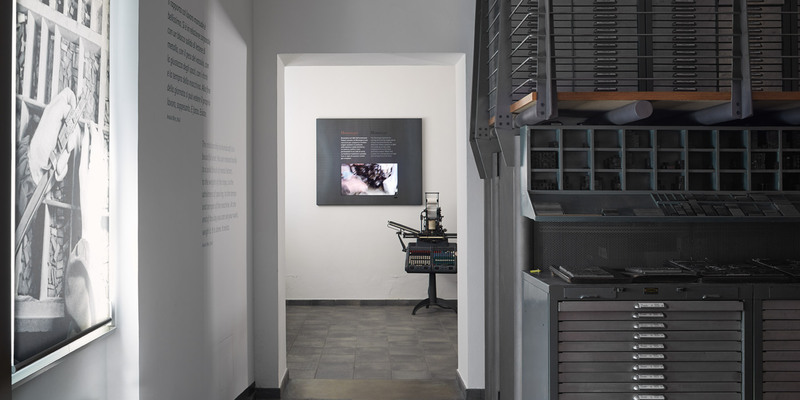 The archive wall at Tipoteca preserves the real treasure of the collection: the typefaces collected during a long–lasting search for material coming from all over Italy. 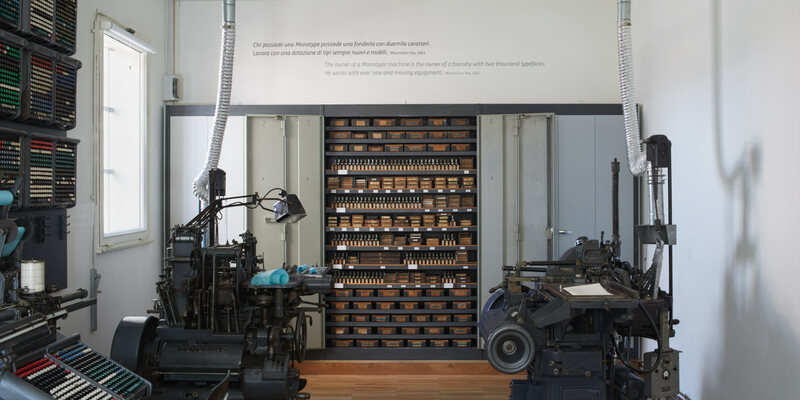 The lead archive holds over 1,600 typefaces—inventoried and organized in more than 600 metal drawers. 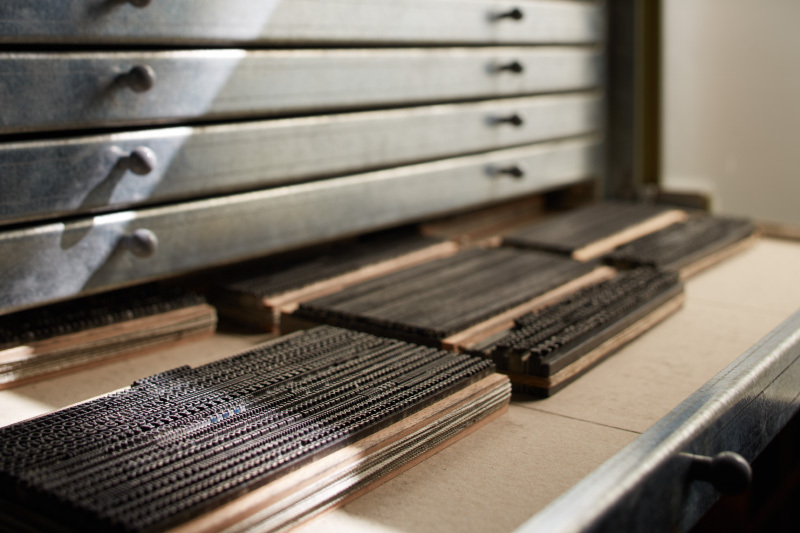 The wood typeface archive holds 1,828 wood type sets in 1,260 drawers.